This item is selling for $175.00 on eBay. So very pretty and well done - and the maker's mark dates it. 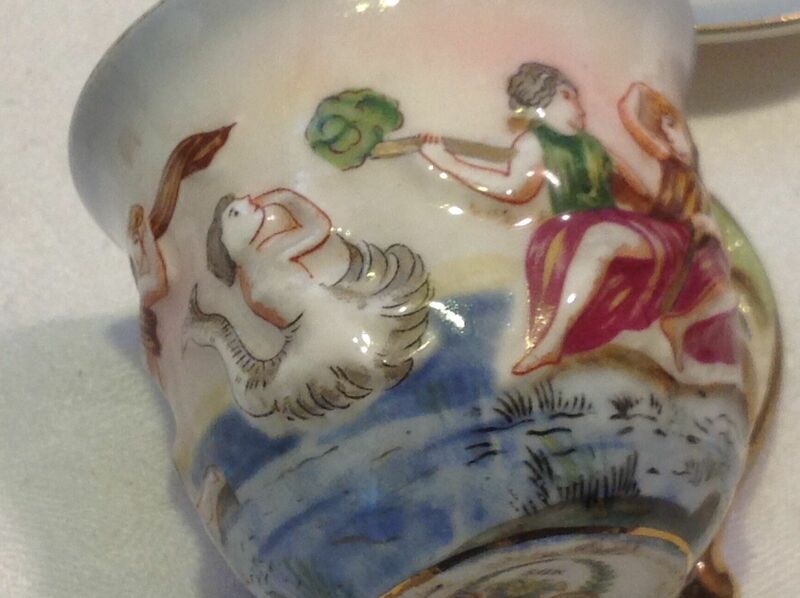 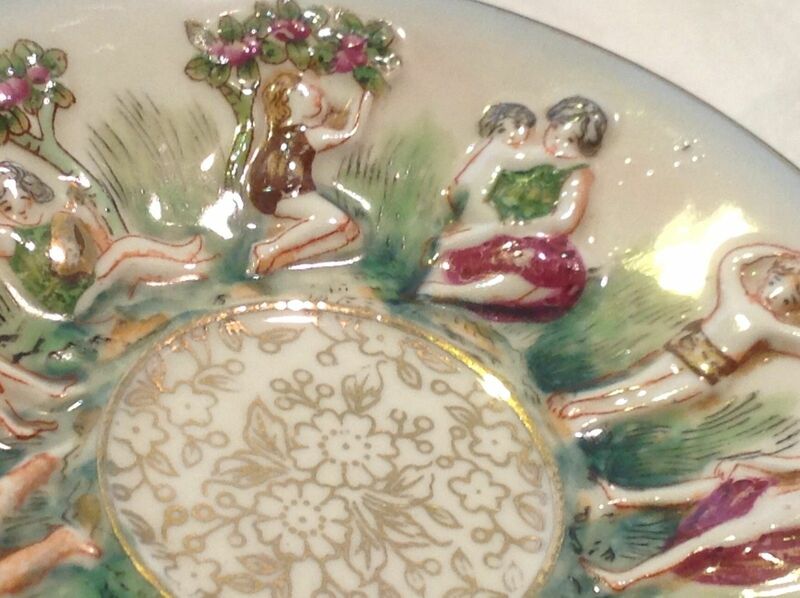 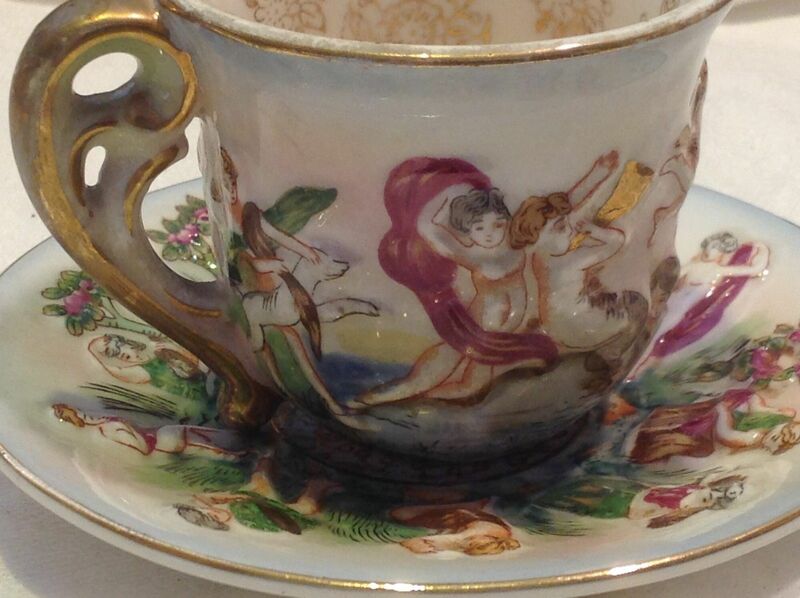 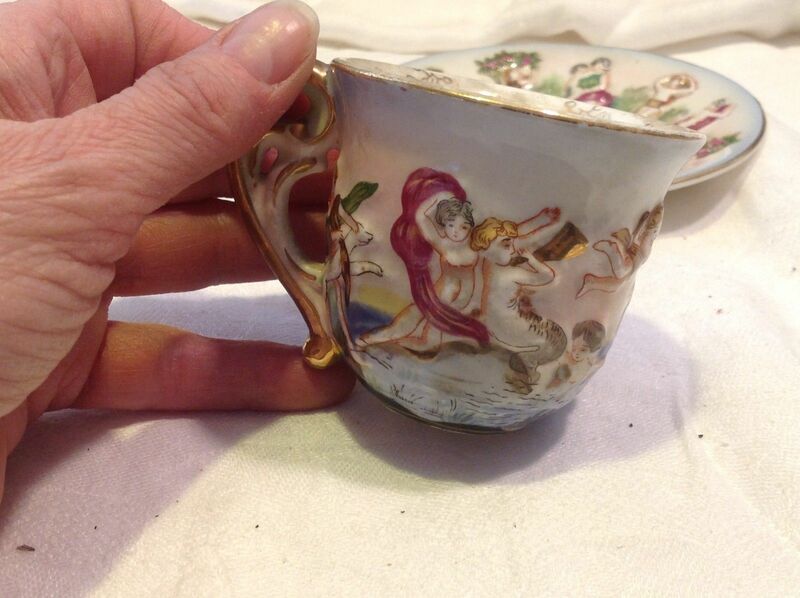 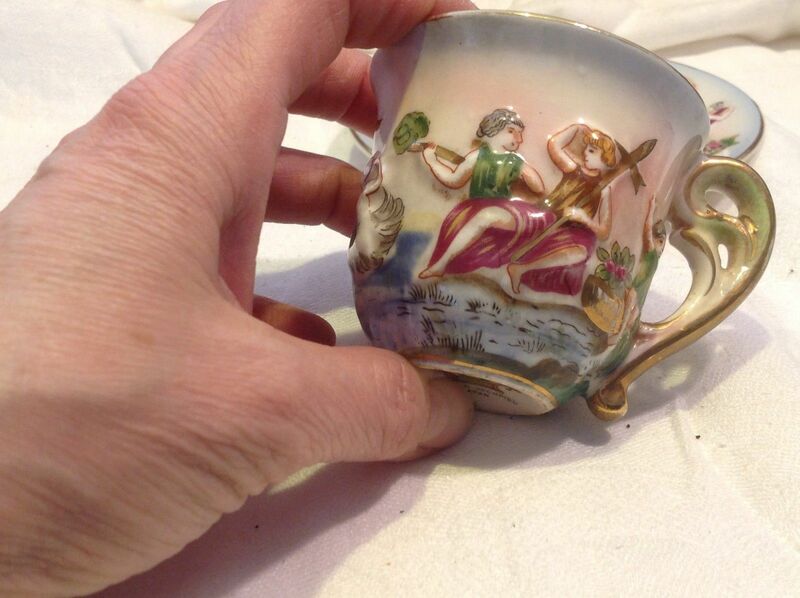 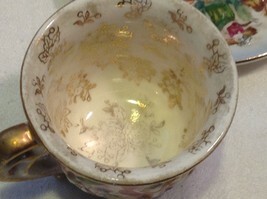 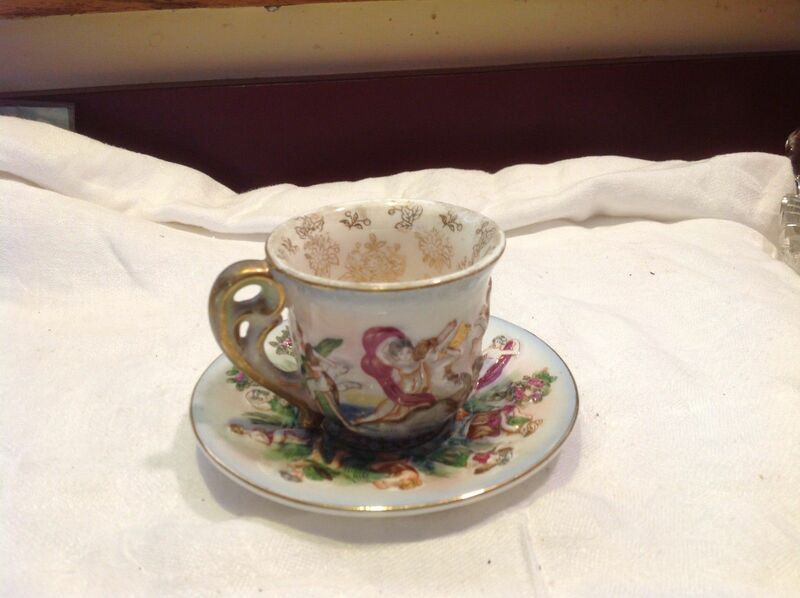 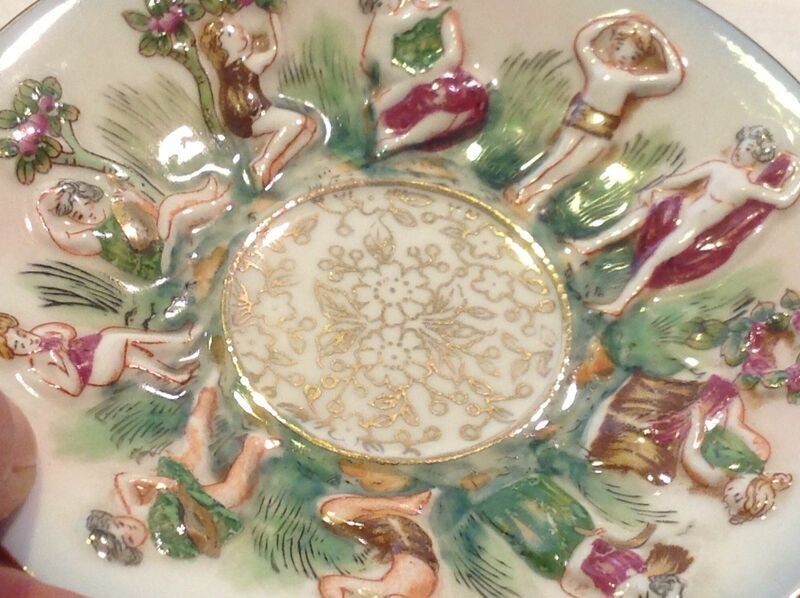 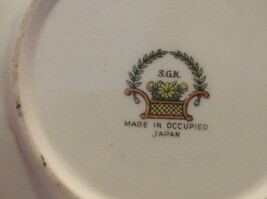 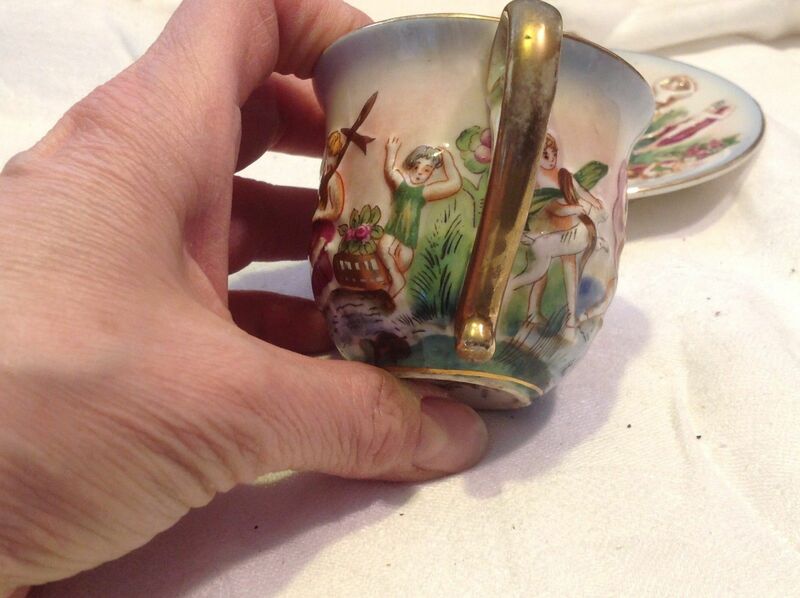 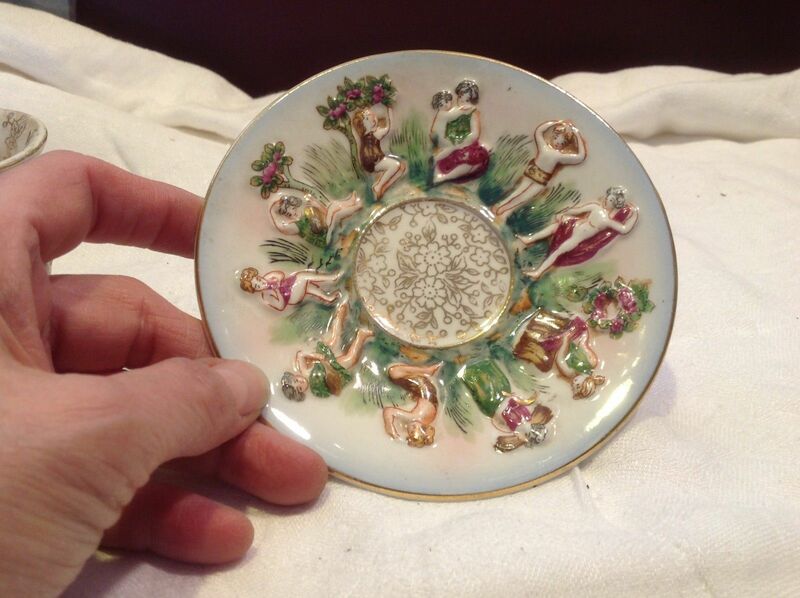 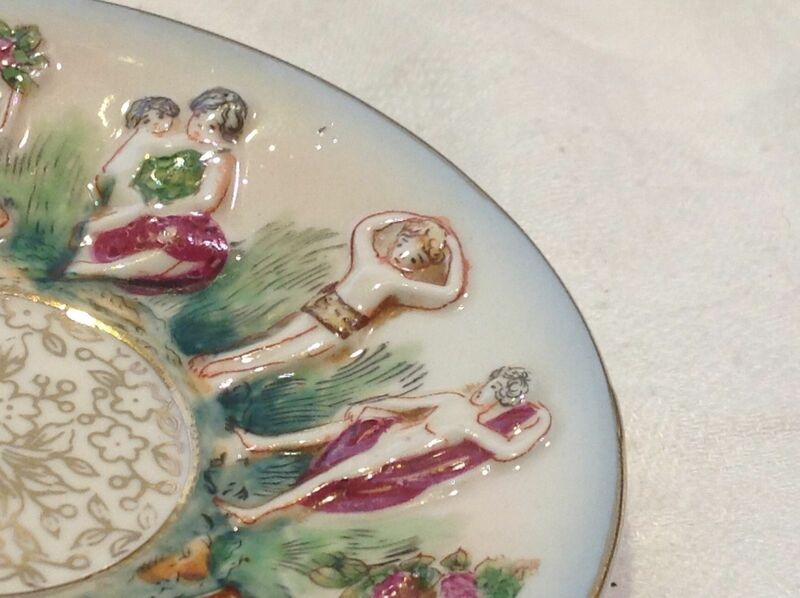 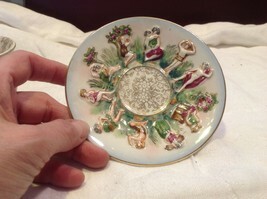 In wonderful condition, with some wear to the gold leaf inside the cup.